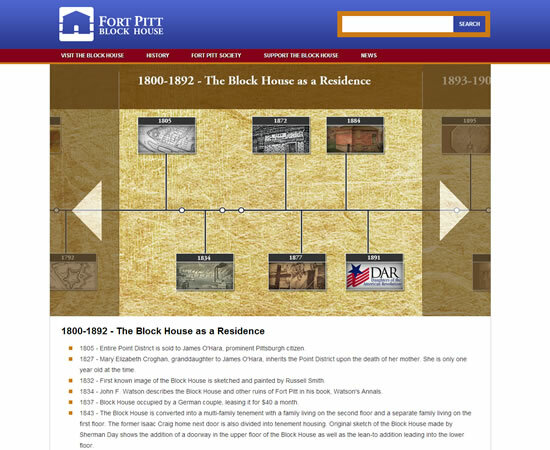 The Fort Pitt Block House site is another of our showcase projects! We provided the total solution for this site, including initial consultation, design, coding, development, maintenance and hosting. 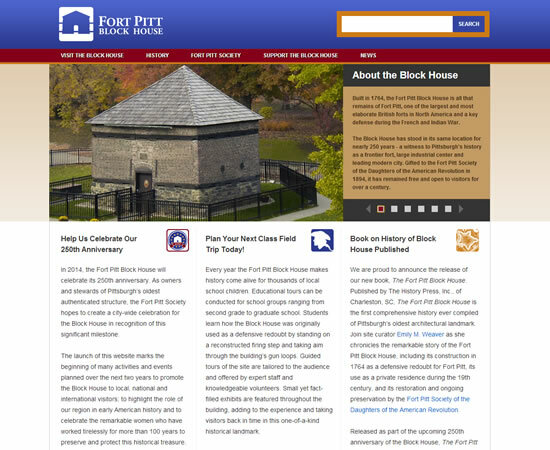 The Fort Pitt Block House is the oldest authenticated structure in Pittsburgh, PA, and since 1894 it has been owned by the Daughters of the American Revolution. 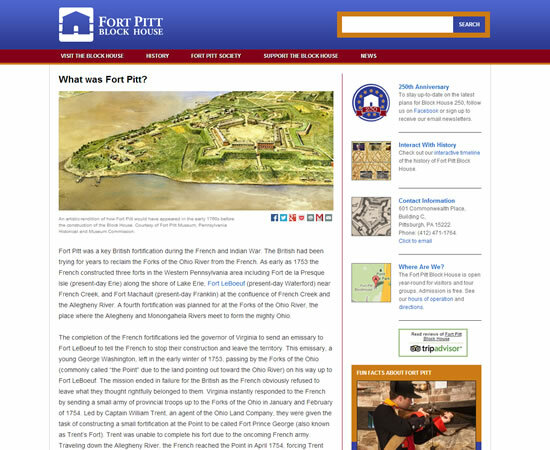 Joe Poppa was the lead designer on this project, and we worked very closely with the Fort Pitt Society to ensure that all the details are historically accurate. They also wanted to be able to make updates to the site at will, so the WordPress platform was chosen as the Content Management Solution. A lot of the photography for this project was provided by Roy Englebrecht.